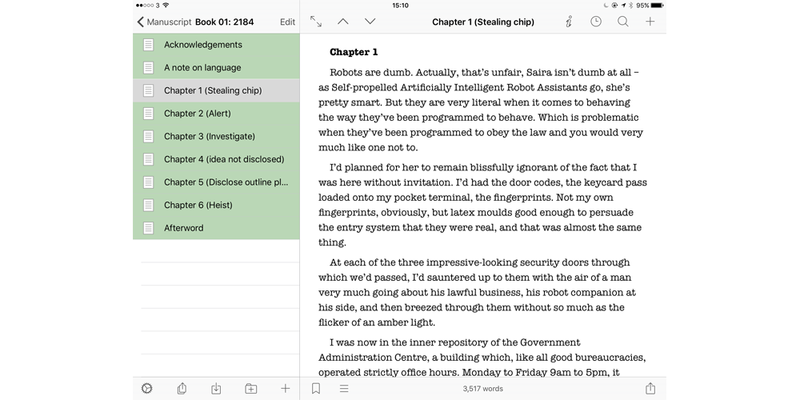 As a writing tool, Scrivener may be a niche app, but it has a fan-base almost unlike any other app I know. For those unfamiliar with it, it’s an app written by a writer for writers. You can read my review of the Mac app here, but I’ll save time by including my summary here. I wouldn’t dream of writing a novel in anything else, and many other writers say the same. Almost everyone I know who has tried it has said that there’s no going back. 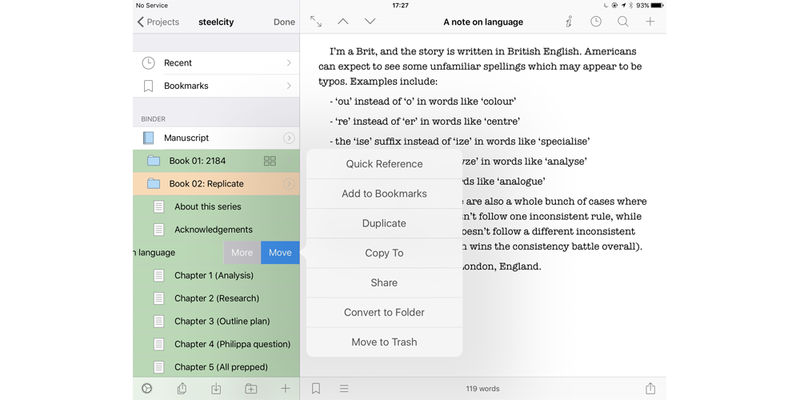 The story behind that is apparently long and painful, but the end result was that the man behind Scrivener, Keith Blount, decided to write the iOS app personally. I’ve been beta-testing it for a few weeks now, and found it rock-solid. The release version will be available on 20th July. My review is based on beta versions, so there may be small differences between the screengrabs below from the beta and the final version, but any such difference should be very minor. 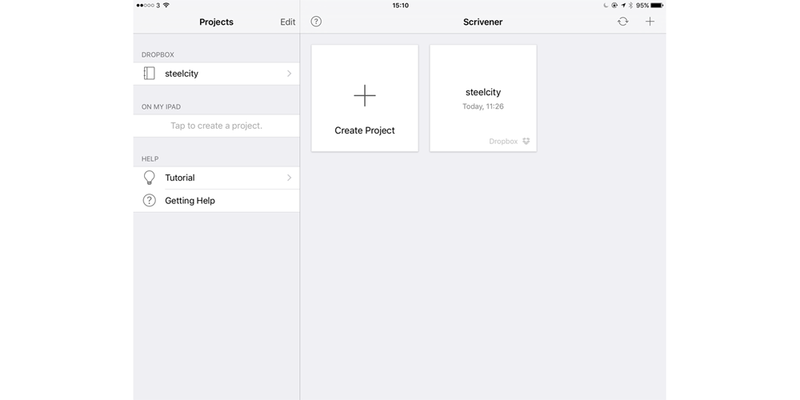 When you first open the app, you see the main screen, showing your projects. In this particular case, I only have my current project loaded, an SF series known as ‘Steel City’. The top-level project view will be very familiar to anyone who uses the Mac version: the binder on the left with a folder for the manuscript itself, together with others for the character notes, research and so on. With the Mac app, we can expand the contents of as many of these folder as we wish to see everything at once. I didn’t initially think that was possible with the iOS version – it very much looked like it was one view at a time – but I was wrong. Swipe left on any section (a somewhat scary thing to do when most apps use that for ‘delete’) and an ‘Expand’ option appears. You can do this with sub-folders too, revealing as much or as little as you like in the binder. Here I’ve expanded both the Manuscript folder and Book 1. The indents are quite subtle, to make best use of the limited space on an iPad. Swiping left on an individual document pulls up a sub-menu, which includes delete – or the Scrivener equivalent which, as on the Mac, is simply ‘Move to Trash’ so that the document can be retrieved if required. Although I work on the Mac with my various nested folders all expanded, on the smaller screen of my 9.7-inch iPad Pro I found it was better to open only the book on which I was working. Here I tap on Manuscript to see my actual book – or books, in this case. I’m working on a series of SF novellas, with a short story to kick things off, so the top level view of the manuscript is the first three books. I use color-coding as progress indicators, so this is a slightly customized view I’ll discuss shortly. Tapping on book one then opens another very familiar view: chapters on the left, text on the right. I mentioned that I use color-coding to allow me to track my progress. 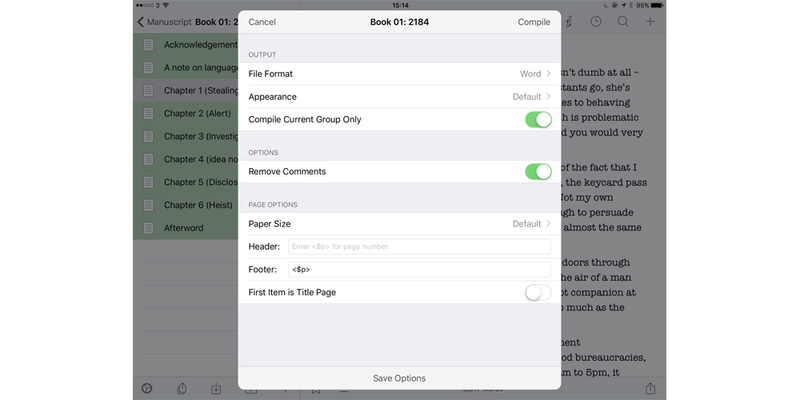 I do this using Scrivener’s ‘label’ function, which I was very relieved to see is supported by the iOS version. I have the preferences set to shade the whole name in the label color. I use a traffic-light system: red for a problem to be solved or research to be done, yellow for outline notes, amber for ‘started to write’ and green for written. When the first draft is complete, and it’s time to begin the editing process, I set everything back to yellow and then use amber for edit in progress, green for edit complete and red for a problem to be resolved. Book 1 is all green as that’s complete, while you can see my color-coding in use in book 2. Labels, and their associated colors, are set by a long-hold on a document. This also allows you to add notes, which show up in the corkboard view. 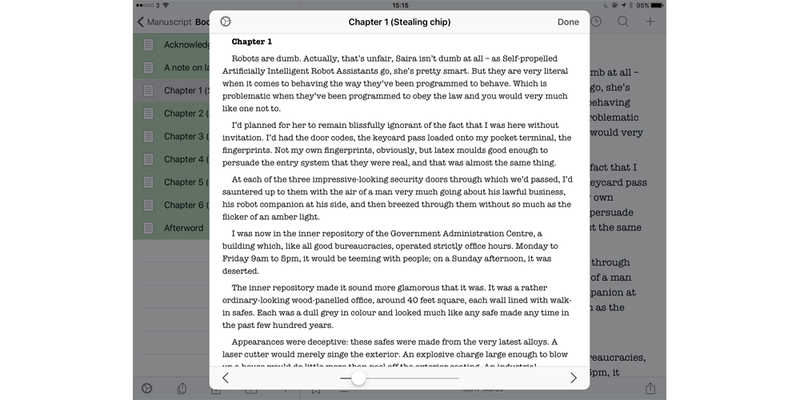 There is a kind of Scrivenings view, allowing you to scroll through the complete manuscript, but this is read-only: you can’t edit text in this mode. 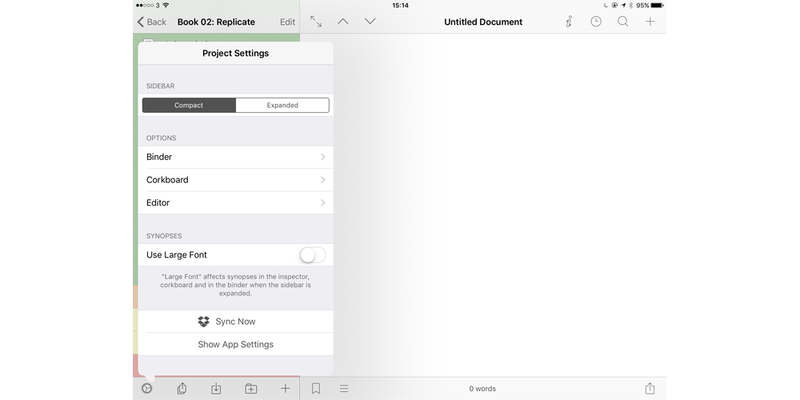 The iOS app calls this Draft Navigator, and the reason you can’t edit text within it is because of memory limitations and other constraints on an iOS device. However, if you spot something that needs editing, you can double-tap on the text in this view and it will open the relevant document to allow edits. 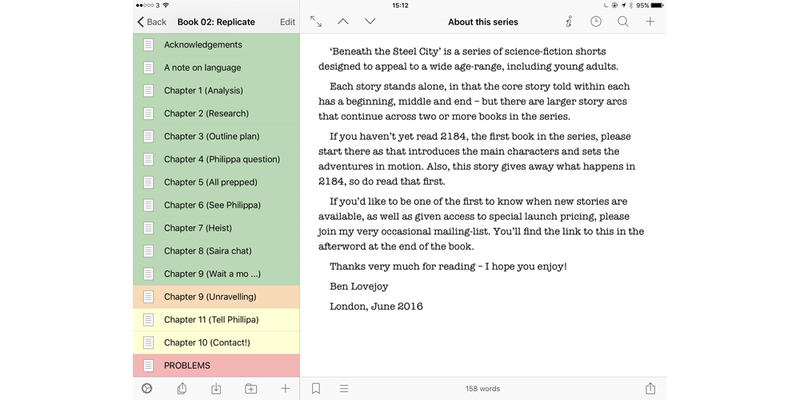 I’d expected Scrivener for iOS to be a companion app, merely allowing you to carry on writing and editing when you were away from your Mac, but to my surprise Keith decided that it should be a full, standalone app. It works seamlessly with the Mac app, of which more in a moment, but it can also be used on its own – so includes a module to compile your manuscript into paperback and ebook forms. Sure, it obviously doesn’t support all the functionality of the incredibly feature-rich Mac version – but it does do all of the essentials and more besides. This means that it can be used by those whose only ‘computer’ is an iPad. For me, though, my Mac is my primary writing tool – I just want the flexibility of being able to do bits & pieces of writing and editing when I’m mobile with just my iPad for technological company, so let’s look at how syncing works. 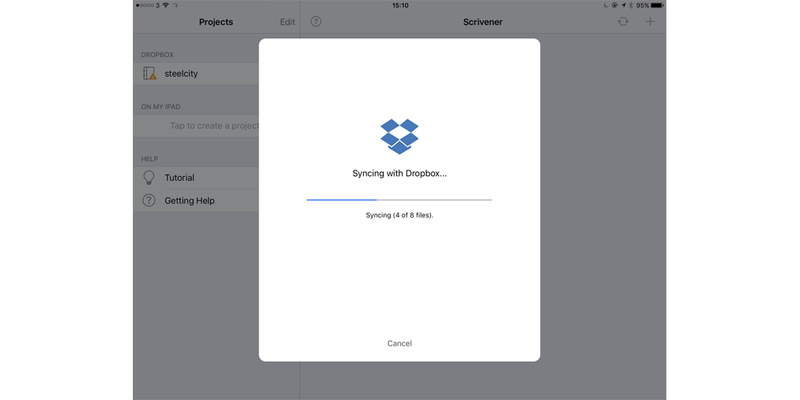 For now, you can only sync with Dropbox. This suits me perfectly, as that’s my primary cloud drive. 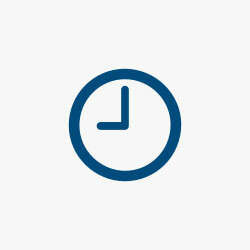 Having tested all of them, I’ve found Dropbox to be the fastest to sync – almost always doing so within seconds. Keith says that while iCloud sync may follow at some stage, it doesn’t play nicely with non-flat files, and a .scriv file is really a package – a folder pretending to be a single file. So, your project needs to be stored on Dropbox, and you point the app to the appropriate folder when you add a project to the app. You can perform a manual sync at any time by tapping the gear icon bottom-left and then Sync Now. But this shouldn’t normally be necessary as Scrivener auto-syncs every time you return to the main screen or open a project. My sole contribution as a beta-tester has been to identify a single, trivial bug. Initially there was a delay between tapping the Sync Now button and the sync beginning. Keith fixed that, and ever since syncing has been consistently lightning-fast for me. As experienced Scrivener users will know, you are warned against having two copies of your project open at the same time on different Macs. Indeed, if you try to open it on a second Mac while it’s already open on another one, it will warn you not to proceed and tell you that Bad Things will happen if you do. The reason for this is back to Scrivener only pretending to be a single file while actually being hundreds or thousands of different RTF files. As the Mac version is literally syncing to Dropbox every few seconds, things would get very messy if you had two different Macs simultaneously attempting to update the same files. 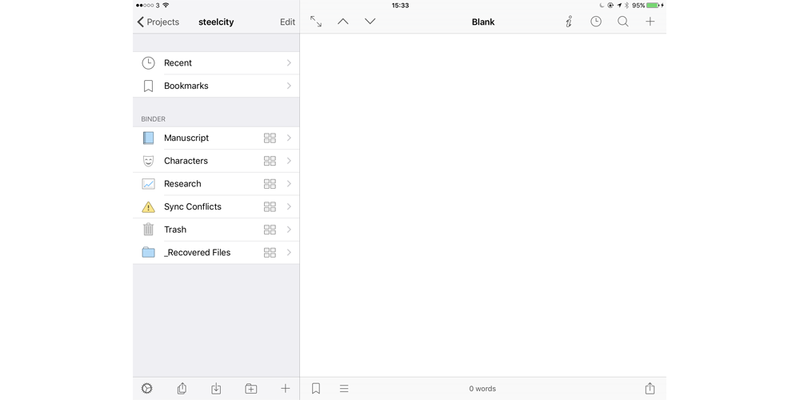 But Scrivener for iOS is different. It only syncs on opening a project, on closing one and when you manually tell it to – and it has protections in place to guard against simultaneous writing. For this reason, there’s no problem having the same project open on a Mac and on your iPad. 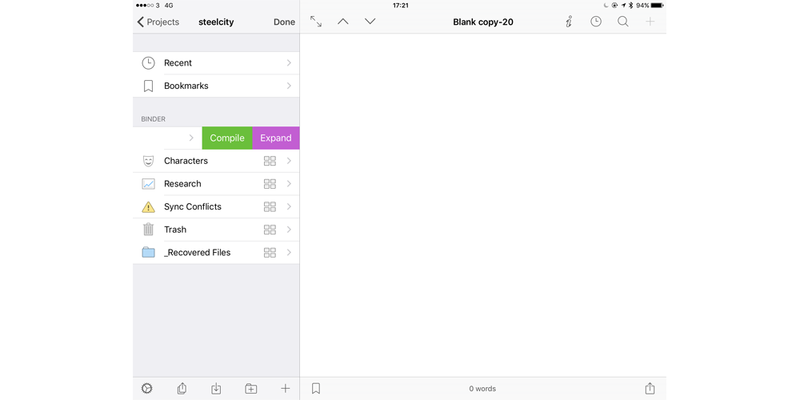 I still tend to close the app between uses, but it’s handy to know that if you unexpectedly found yourself with a bit of spare time while out and about, you can do a little writing on your iPad without having to worry about whether the project is open on your Mac at home. 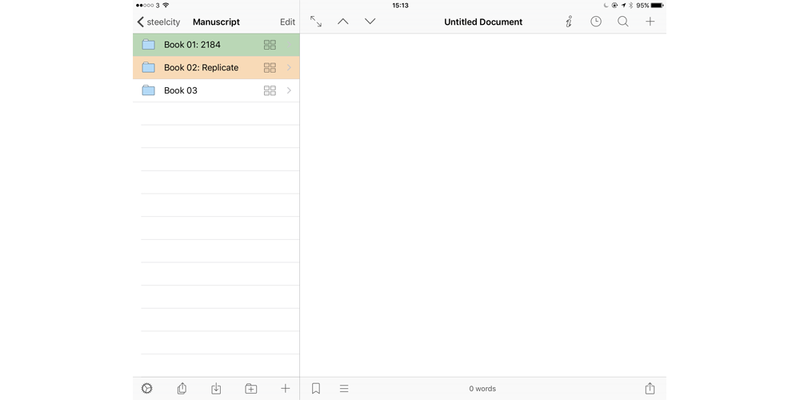 I’ve been calling it Scrivener for iOS because that’s its official name, while really thinking of it as Scrivener for iPad – because I couldn’t see myself ever using it on my iPhone. But that’s because my iPad goes everywhere with me. For those who don’t have an iPad, or who can bear to part company with it sometimes, the ability to use it on an iPhone can allow you to at least get a little writing done while mobile. To my surprise, the iOS app is completely usable even on my iPhone SE. That’s pretty impressive, in my view. 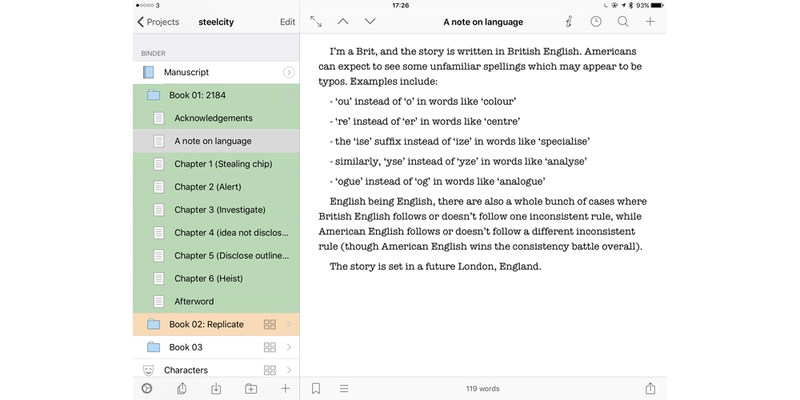 Scrivener for iOS is relatively expensive by iOS app standards, at $19.99. But I don’t think any Scrivener user would think twice about the cost. As I said at the beginning, once you’ve switched to writing in Scrivener, nothing else will do. As a companion app to the Mac one, I think the price would still be justified. But when you consider that it’s a fully-fledged app in its own right, it looks like a bargain. If you’re an existing Scrivener user on the Mac, and you also have an iPad, I’d say this is a no-brainer. It’s going to boost your productivity by allowing you to get bits & pieces of writing done when you don’t have your Mac with you. If you don’t have an iPad, just an iPhone, it’s a closer call. I couldn’t personally see myself doing more than transcribing the occasional sentence that echoes round my head refusing to leave until I write it down. But there are those who write remarkable amounts on their iPhone; if you’re one of them, then it’s probably worth the twenty bucks to you too. Me? I’m just delighted to have it on my iPad after all this time. For the first couple of days, just seeing the Scrivener icon on my Home screen made me smile, and I’ve used it far more than I expected to. I’d have paid twice the price. 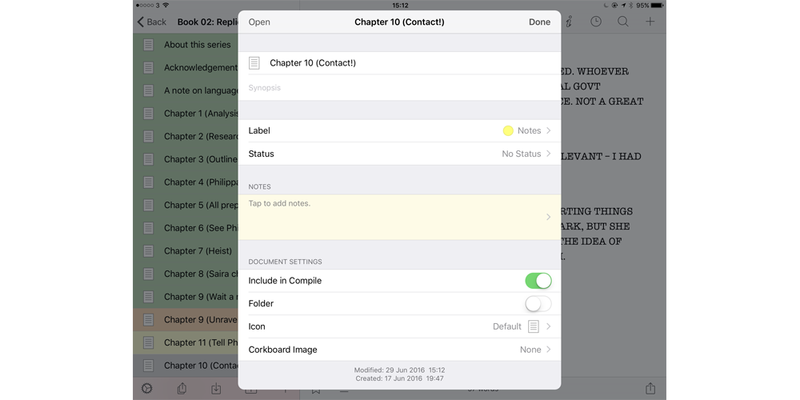 Scrivener for iOS will be available from the App Store on 20th July, priced at $19.99. If you’d like to get a free copy of the first story in the Steel City series, a 13,500-word novelette, you can do so by joining my occasional mailing-list.